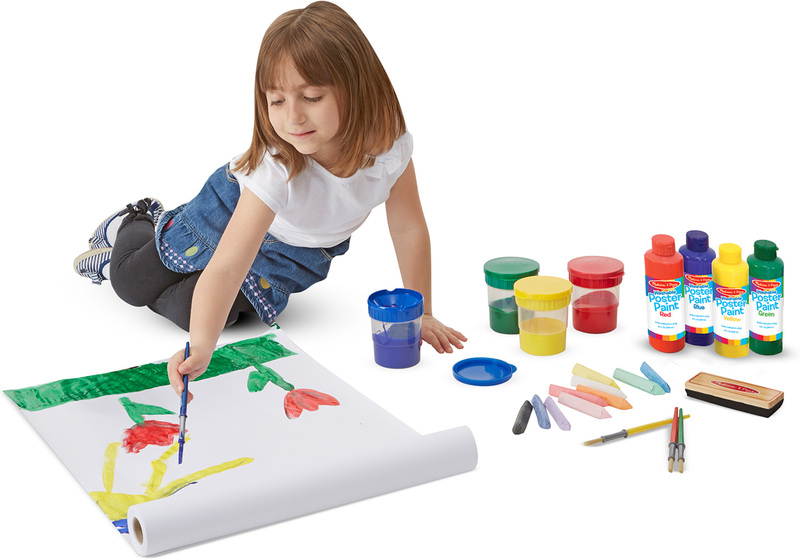 Everything your young artist needs when inspiration strikes: Four eight ounce bottles of vibrant poster paint (R/B/Y/G), four spill-proof paint cups, four medium sized brushes, a roll of easel paper, a 10-pack of jumbo rainbow chalk, an eraser and a dry erase marker. 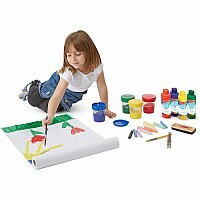 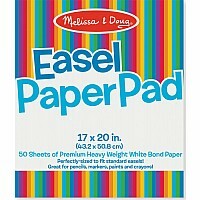 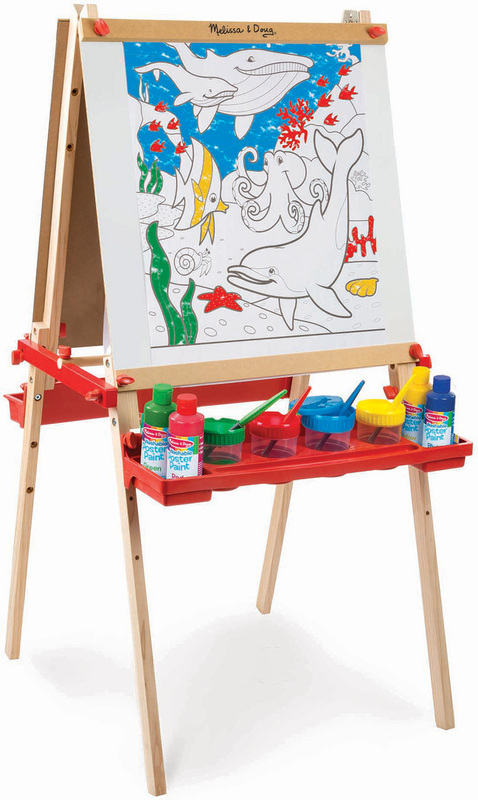 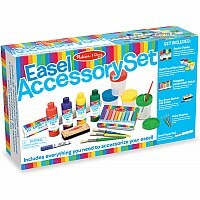 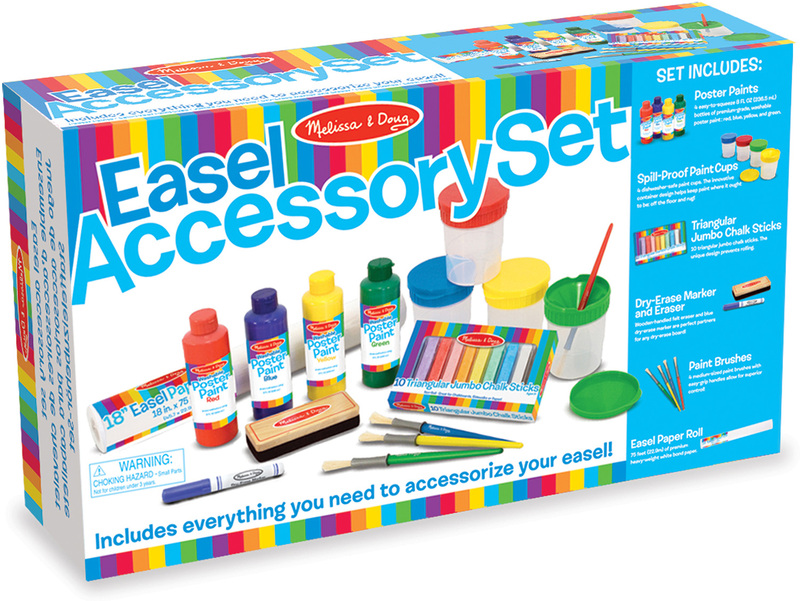 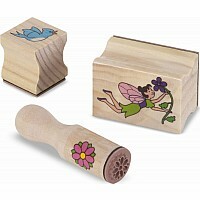 This generous set of kids' art supplies is the perfect companion for their Standing Wooden Art Easel. 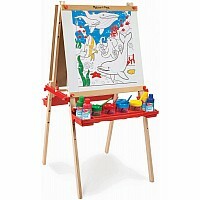 Measures approximately: 19.10 x 11.05 x 5.00 inches..